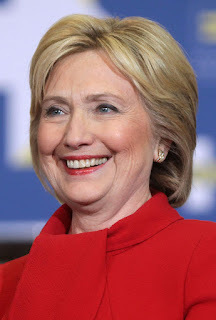 Many viewers noted that presidential nominee, Hillary Clinton, constantly cleared her throat during her speech at the Democratic National Convention on July 28, 2016 (watch video below). About 22 times in fact. Media have noted that this throat problem has been going on for far longer... since January 2016. Why is she clearing her throat so often? Why is she coughing so much? Is it manufactured as some have suggested? Or could there be a medical reason for her throat problem? For what seems to be a relatively minor annoyance can require an unusually long and extensive workup to diagnose, treat, and resolve mainly because so many different conditions can cause this symptom. Indeed, Mrs. Clinton has been throat-clearing for at least the past 6 months if reports are to be believed. This obviates a simple answer or treatment. 1) Endoscopic laryngoscopy to evaluate for any physical problems in the voicebox region. Specifically, evaluating for any evidence of mucus collection in the hypopharynx which could be due to Zenker's diverticulum, esophageal dysmotility, laryngopharyngeal reflux, etc. • A reflux medication like nexium to address any reflux getting up into her throat. Avoiding fatty, fried, spicy, tomato-based foods would also be advisable. • Avoiding egg, wheat, and dairy which seem to increase the amount of throat phlegm in some patients. 3) Ensuring she is not taking any medications known to cause throat-clearing as a side-effect. The top two category of medications are ACE Inhibitors like lisinopril as well as ARB (angiotensin receptor blockers) like losartan, both used to treat hypertension. Less commonly, high cholesterol statin medications like simvastatin may be a factor. • Bloodwork to check for any autoimmune disorders like Sjogren's which may cause saliva to thicken and collect in the throat. Hopefully, Mrs. Clinton gets her throat symptoms resolved as soon as possible as it apparently is happening frequently enough to distract her constituents/audience where focus should instead be placed more on her message. However, she as well as others who suffer similarly need to be aware that there are MANY different causes for chronic throat clearing and without knowing what is causing it, the treatment will be haphazard and commonly ineffective. WATCH: Clinton's Constant Throat Clearing. DailyWire 7/29/16.